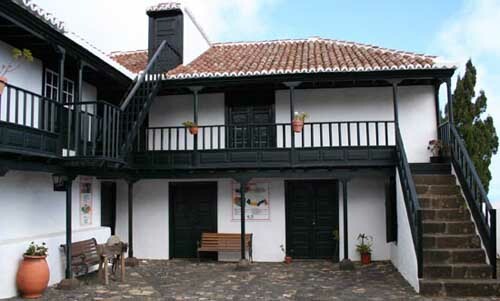 Discover the Casa Luján Museum in La Palma. The Casa Luján Museum is located on a end of XVII century building, in the municipality of Puntallana on the island of La Palma, in the Canary Islands. The Casa Luján Museum is located in a historic traditional canary house from the XVII century, located on the historic city centre of Puntallana. This an ethnographic museum, where you might also acquire a wide variety of craftwork products. In its interior you might also find a rural tourism information and management desk which makes this building an important agriculture-touristic centre. This house is a fine example of a colonial house. Its building has two L-shaped floors with an outer patio and a nice facade. Its rooms show, scenery-like, the obsolete lifestyle with antique furniture which recreate different scenes from the daily-life. It also has many real-size models made of cloth. Monday to Friday from 10am till 1pm and from 4pm till 7pm.